The subject of this article is William Martson who emigrated to New England by 1640 when he was recorded as receiving a land grant. There were actually two men named William Marston, both apparently from the same part of Norfolk, who left England during the period now known as the Great Migration. The genealogy of these two men have been confused and intertwined, making for a genealogy headache for researchers. I am hoping I can straightened them out for you. Note that these men were from Norfolk and not Yorkshire England. 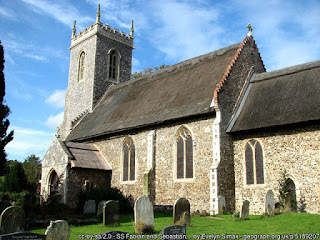 A surprising number of Great Migation immigrants hailed from in and around a tiny village on the Norfolk coast called Ormesby St. Margaret. The families included Estows, Moultons, Dow, Page and Marstons. These names are found in a 1610 rental agreement for land on the Manor of Ormesby. This and other reseach from the area also shows us that there were multiple extended families with those surnames. This makes tracing the immigrants ancestry difficult. Both of the William Marstons who immigrated to New England were from Ormesby and were likely related to each other. The William Marston, who settled eventually in Hampton, was born about 1590. Noyes, Libbey, Davis say that his father was Henry Marston. Henry was the son of Thomas and Alice Marston. This line has been traced back to a Thomas Marston of Bastwick, Norfolk who was born about 1435. Thomas, in his will asked to be buried in the churchyard of St. Sebastian, which is actually in Woodbastick on the very edge of the Norfolk Broads. His son Robert Marston was born about 1465 and married a woman named Margaret ____. He died in Bastwick in 1514. His son Thomas was born about 1495, most likely in Bastwick. He married Alice ____ about 1525. At some point this couple moved to Ormesby St. Margaret. Thomas wrote his will there on 17 April 1548, it was proved 29 March 1549. His son John inherited his house and lands but Thomas left money and a mare for his son Henry. Alice married again, she was known as Mother Allen in her son John's will. She left all her estate to her son Henry when she died around 1587. William was born around 1590, most likely in Ormesby St. Margaret. He was married by about 1615. The name of his first wife is unknown. That's right her name is unknown. Many, many current ancestries out there give her name as Sarah Goody. This is not correct. The William Marston who lived in Salem married a woman named Sarah ___. According to Torrey, William and Sarah ____ were married by 1653. Torreys' references for our William's marriage are as follows: Pillsbury: Unknown , Stone: Unknown , Tingley Meyers: Sarah? , Blake-Glidden: Unknown  Torrey's Register reference does not address the marriage. Marston-Weaver: Unknown . Tellingly, the more current the publication the more likely the wife is said to be unknown. Libby, Noyes and Davis also say unknown. William and his unknown wife had at least five children, all born in England. 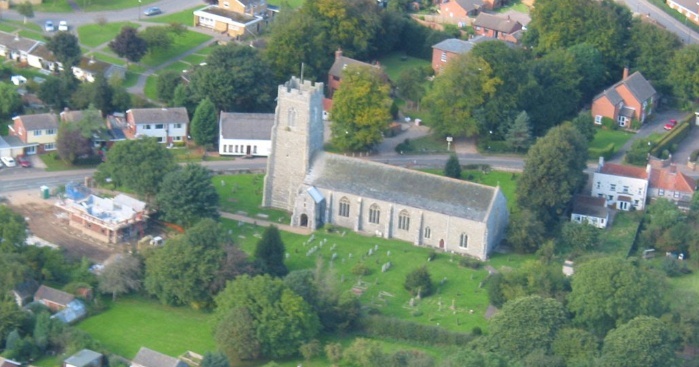 The baptism of the first two, Thomas and Prudence cannot be found, but the last three, William, Ann and John are believed to have been baptized in the village of Hemsby at St. Mary the Virgin. Their LNAB was spelled Merstone. The last child born in England was baptized in 1630. Most printed genealogies seem to agree that William was in Massachusetts by 1636. Like many new immigrants he took his time before settling in one location. 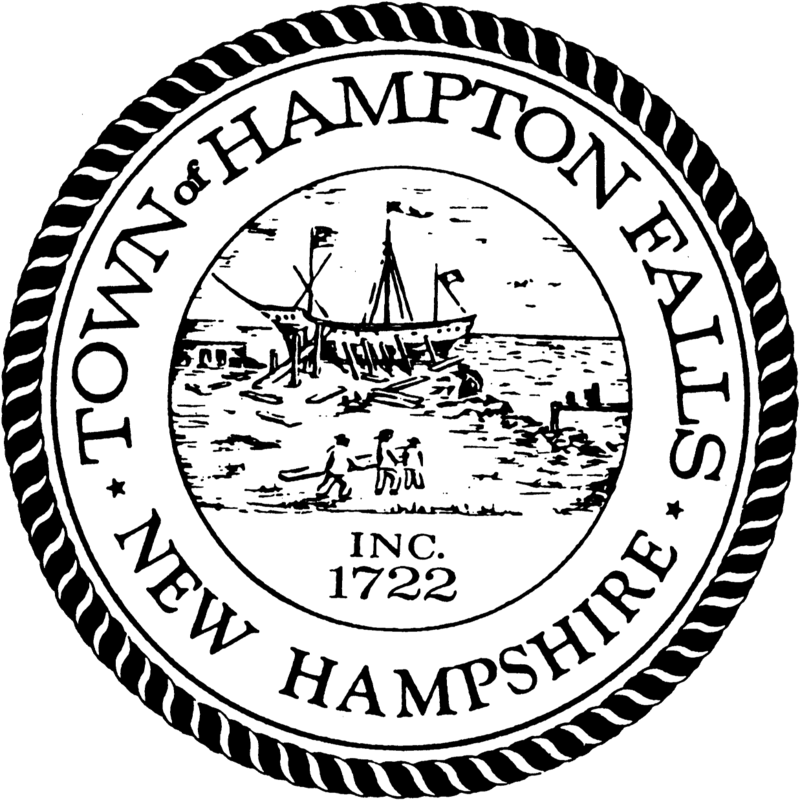 He and many of his Ormesby neighbors may have moved as a group several times before settling in Hampton, New Hampshire. He was certainly there by 1640 when he was allotted a house lot and planting ground. Many of these families intermarried, just as they had done in England, forming and reforming family units. It must have provided some measure of comfort in their strange new home to rely on old neighbors from home. I can only imagine what excitement a letter from Ormesby must have caused for a large portion of the population. Not much is known about William but he must have been well respected. In 1643 the towns of New Hampshire, petitioned the General Court of Massachusetts to take them under their wing. William was a signatory of the agreement. In 1649 he was assigned to the first seat in the meetinghouse, not quite the head table but the best to next. On the woman's side in the first seat was Goody Marston, presumably his wife. This was the only time that Goody Marston was mentioned in any record. Is this where the incorrect surname Goody comes from? In 1652 William was elected to serve his community as a selectman. The selectmen were like the city councilmen, they were charged with running the town for the year. In 1652, William would be about 62 years old. His children were grown. Was his wife alive, we don't know. Like many women of her time, the first Mrs. Maston remains nameless. She is not mentioned in any record other than the seating chart. Around 1662 William married for the second time. This second wife was much younger than her seventy year old husband. She had the very pretty name of Sabina. But what was her surname and who were her parents? Torrey offers up two surnames found in Marston genealogies and lots of question marks. Libby, Noyes, Davis says Hermins Locke, Pillsbury: Unknown; Stone: Unknown; Tingley-Meyers: Page; Marston Gene. : Sabrina Page, d/o Robert and Lucy Page; Blake-Glidden: Sabina Locke. So we have three options: Unknown, Hermins Locke or Page. The problem with each of these possibilities is that no proof is offered for any of them. Robert Page was one of the most important men in Hampton at that time. He served as a selectman eight times and as deputy to the general court twice. He too was from Ormesby. The children of Robert Page are pretty well documented. He and Lucy had seven documented children, some born in England and some in New England after they immigrated. All but Susanna, who seems to have died young, married local men/women and had children. If Sabina was a daughter of Robert Page she would have been born after 1640 or so, making her 20 years old or less at the time of her marriage. Why would a twenty year old woman want to marry a seventy year old man? In 1672 William wrote his will, all of his children were grown and married with the exception of Tryphena who was still a child. Surprisingly, other than five shillings apiece, he left his entire estate to that child. His oldest children ranged in age from their 50's to 42. Tryphena was 9. Maybe he felt he had done enough for his older children and wanted to take care of his small daughter, we don't have an answer for that. Her mother Sabina was named executrix of the estate. The following year, Sabina married again, this time to a man named John Redman. Some of the Marston genealogies suggest that William Jr. contested the will and somehow ended up with the house and land. I have not been able to find the court records referenced, but I'll keep looking. 1. Thomas b. prob. 1617 Ormesby, m. Mary Estow d/o William Eastow of Hampton. 3. William bp. 11 March 1626 Hemesby, m. Rebecca Page d/o Robert 15 Oct. 1652. 5. Tryphena b. 28 Dec. 1633 m. Joseph Philbrick. J. Gardner Bartlett, "Extracts From a Rental of the Manor of Ormesby Co. Norfolk, 1610," The New England Historic and Genealogical Register, (October 1915) Vol. 69, p. 343. Sybil I. Noyes, Charles Thornton Libby, and Walter Goodwin Davis, Genealogical Dictionary of Maine and New Hampshire, (Baltimore: Genealogical Pub., 1972) 462. Mary Lovering Holeman, Holman, Ancestry of Charles Stinson Pillsbury And John Sargent Pillsbury, [Concord, N.H.: Priv. print. at the Rumford press], 1938. Holeman, Ancestry of Charles Sinston Pillsbury, 354. John W. Jordan, Colonial and Revolutionary Families of Pennsylvania, Vol. 1 (Baltimore: Genealogical Publishing Co. 2004) 1102. "Torrey’s New England Marriages Prior to 1700," database; AmericanAncestors.org. New England Historic Genealogical Society, 2008.) Originally published as: New England Marriages Prior to 1700. Boston, Mass. 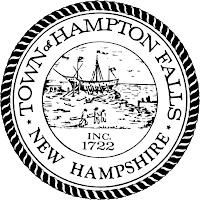 : New England Historic Genealogical Society, 2015. Davis, Walter Goodwin,. The ancestry of Sarah Stone : wife of James Patten of Arundel (Kennebunkport) Maine, (Portland, Me. : Southworth Press, 1930)131. Tingley, Raymon Meyers,. Some ancestral lines : being a record of some of the ancestors of Guilford Solon Tingley and his wife, Martha Pamelia [sic] Meyers. ( Rutland, Vt.: Tuttle Pub. Co., 1935) 220. Edith Bartlett Sumner, Ancestry of Edward Wales Blake and Clarissa Matilda Glidden, with ninety allied families, (Ann Arbor: Edwards Bros. 1948) 171. Eve Weaver O'Connell, Marston-Weaver, A Tribute to My Parents, (Boston: Privately Printed, 1951) 2. Perley, Sidney. The History of Salem, Massachusetts. Salem, MA: S. Perley, 1924. Print. John Brooks Threlfall, Fifty Great Migration Colonists, (Bowie, Maryland: Heritage Books, 1992) 216.